All of our onsite sessions will take place at our beautiful campus, Woodland Montessori School, located downtown in the heart of Kalispell, Montana. Directly across the street from a beautiful park to take your lunch break in, we know you will enjoy your time here. We have three beautiful, fully prepared Montessori Classrooms here on campus. 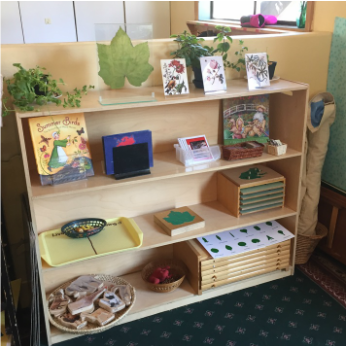 Two Early Childhood rooms and one Toddler Classroom are beautifully set up with the full set of AMS required Montessori materials. Students attending our teacher education program will have the opportunity to see the set-up classrooms first-hand and practice with all of the lovely materials. Kalispell is located centrally in the beautiful Flathead Valley. With dozens of lakes, mountain hiking trails and Glacier National Park just minutes away from our training center, you will have plenty to do on the weekends. You may even decide to stay for the whole Summer!